We know there are boat enthusiasts out there that have begging for a boat like this! Check out Pro Boat Model’s new River Jet 23 Ready To Run. There’s nothing like riding in a full-scale jet boat, from jumping waves to darting across the lake. Jet boats can change direction in a heartbeat, providing thrill ride after thrill ride. 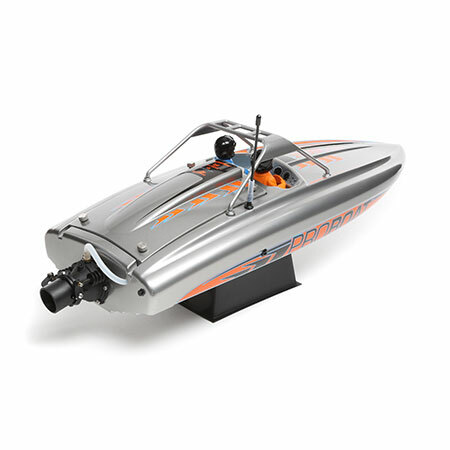 The 23-inch RTR Deep-V River Jet Boat lets you cruise anywhere—including through rapids and moving water. The jet boat doesn’t have an exposed propeller, turn fins or rudder. And with its powerful propulsion system, this boat can run in minimal amounts of water—even just a few inches. 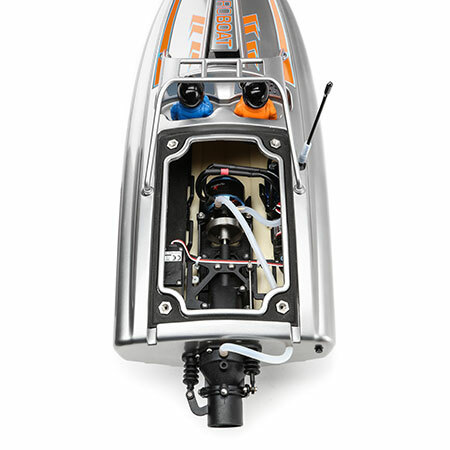 Thanks to its self-righting feature, the boat flips back over in a matter of seconds by activating the throttle. 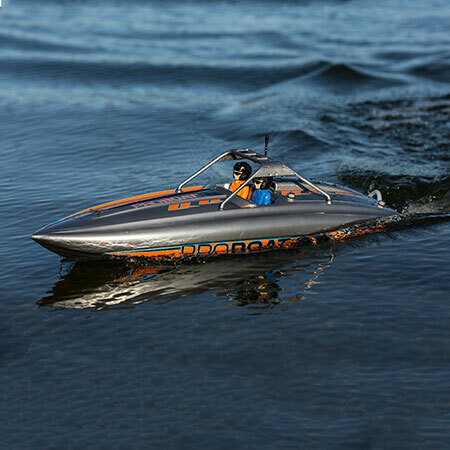 So whether you’re new to RC boating or an experienced captain, you’re sure to have a blast jumping rapids and running upstream. Do you have some juicy news that we don't have yet on the RC Boat site? We want it! Click here and send us what you have!